So it’s told by the established law of Charles Darwin. The one who can adapt to the environmental changes has the chance to climb to the top of the food chain. 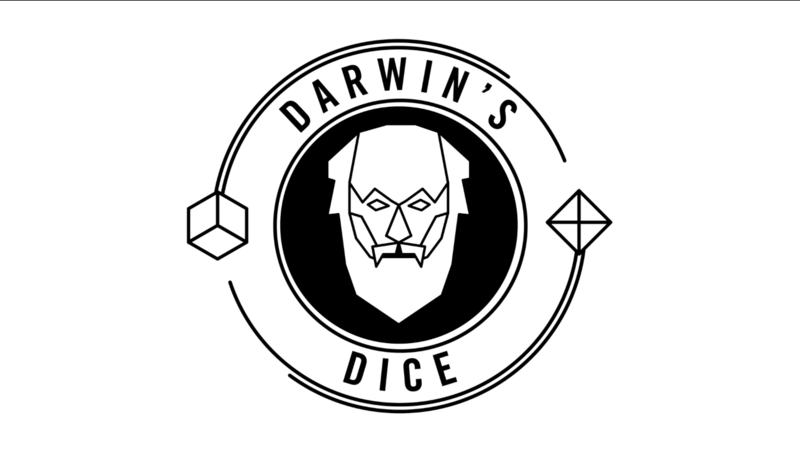 That’s what it’s all about in Darwin’s Dice, the game with natural selection! Adjust to the dice of Darwin and overtake the other players on the way to the top. But watch out! Lurking in the bushes are threats that will end your victory march in an instant. Every player can become a threat. 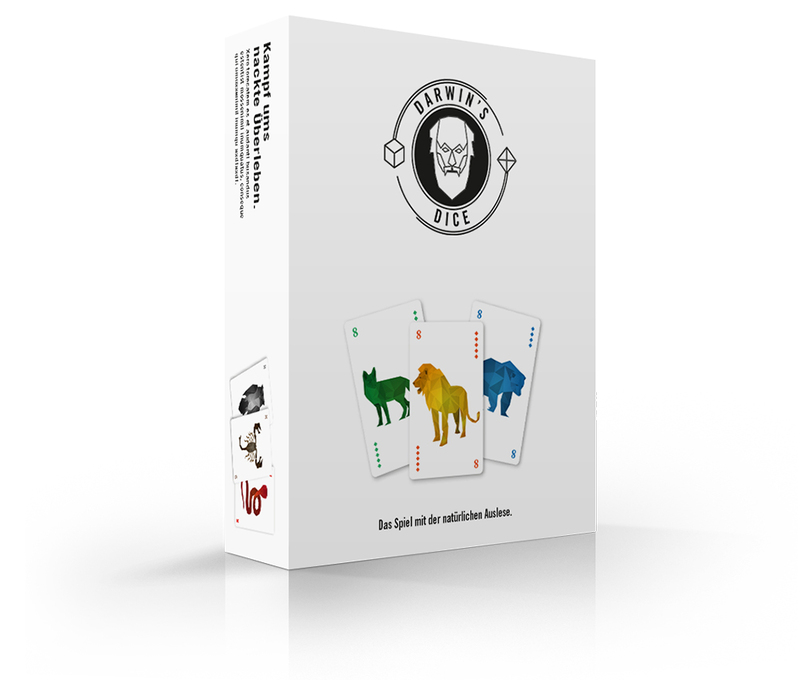 Darwin’s Dice is a simple, fast-paced trump card game, where two dice set the conditions of every turn. You’ll need both a tactical approach as well as a fair amount of luck. Two to four players meet in this game for a struggle for sheer survival. 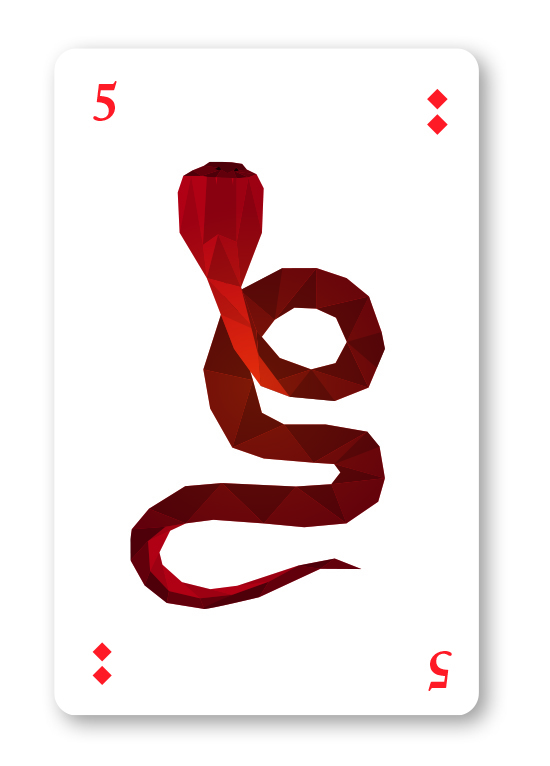 Only the player who’s best prepared and whose cards match the conditions can obtain the opponents’ cards and collect points. Two dice dictate the natural history of the game. 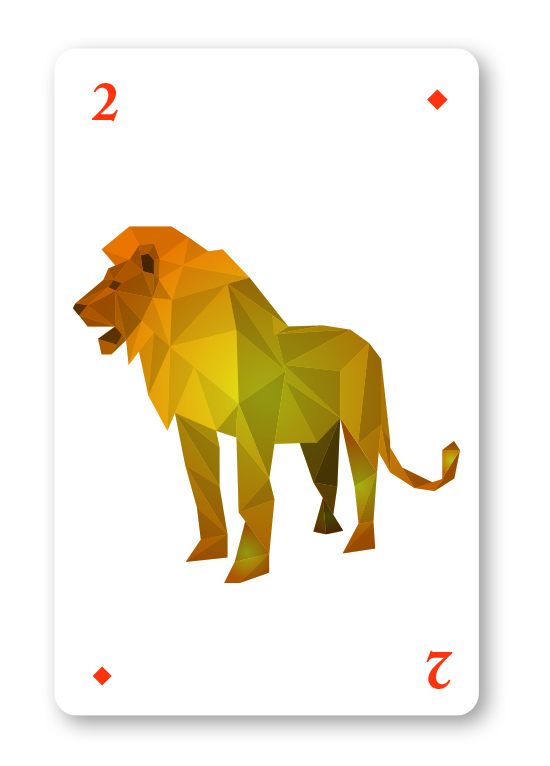 To emerge victorious you have to play the cards according to their attributes. 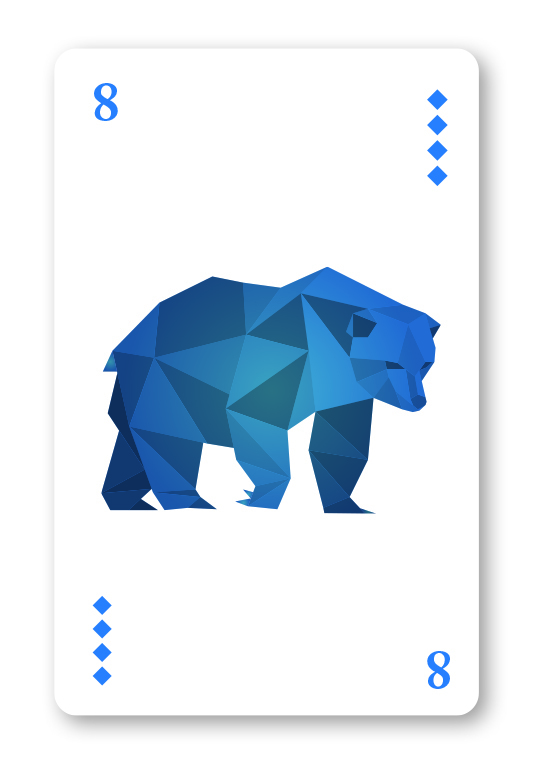 The dice do not only determine if higher or lower numbers have an advantage but also which card acts as the trump – or apex predator. Teeth and sharp senses are necessary to become a feared hunter. 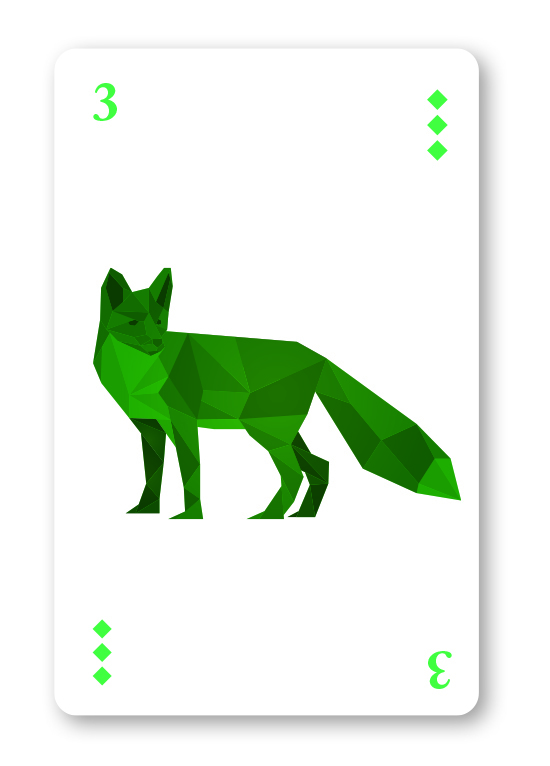 The main actors in Darwin’s Dice are the fox, the lion and the bear. But it’s not only size that matters. The dice choose one of them to become the apex predator and therefore practically invincible. They are toxic and insidious. 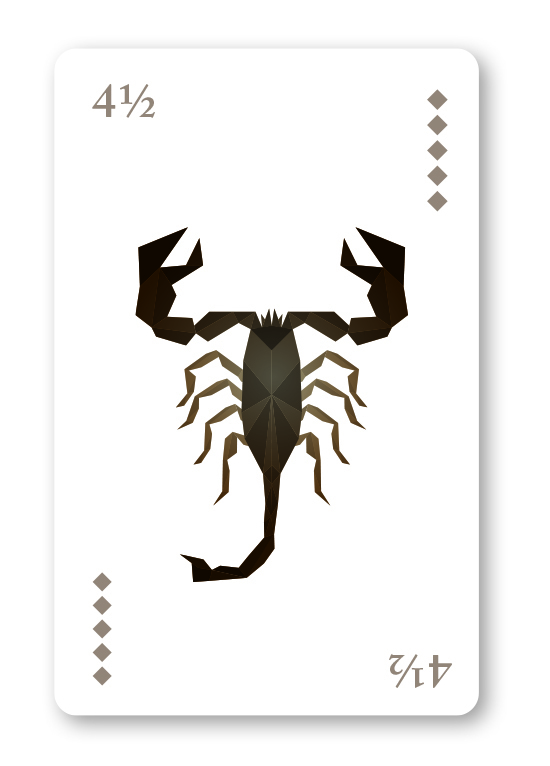 Venomous snakes and scorpions lurk in the undergrowth to disturb the players at any given chance. An unexpected attack is all it takes to destroy the collected points of another player in this round. But that’s not all: the next deadly hunter is waiting in the treetops. With sharp senses owls attack quick as lightning from the sky and strike down their opponents with their mighty talons. Also available in the Collector’s Edition with all our games.